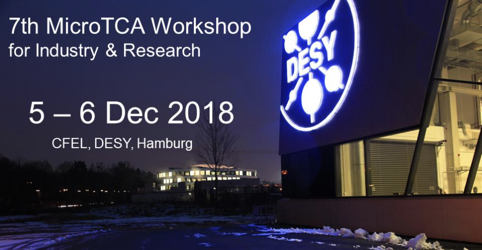 The 7th MTCA workshop for industry and research will take place from December 5th to December 6th 2017 at DESY in Hamburg, Germany. Prior to the workshop there will be an interoperability and integration session on December 4th as well as a MTCA tutorial session. As a member of the advisory committee, exhibitor, vendor and participant N.A.T. cordially invites you to participate. At the interoperability workshop as a vendor of xTCA technology you have the opportunity to test your products with products of other vendors in a truly engineering environment and under a strict code of honor. The tutorial and the workshop will bring together experts and beginners from industry and research to discuss present and future developments in the field of the Micro Telecommunications Computing Architecture family of standards. We are looking forward to meeting you at the event at DESY, Hamburg! For more information please visit mtcaws.desy.de.